This marked a rise of NOK 4.57 billion — more than a seven-fold increase — from the same quarter in 2016. It also recorded an operating profit (Ebitda) of NOK 4.79 billion for the quarter, up 2.4% from the same period in 2016. Stakraft said this increase was "mainly due to higher Nordic power prices with increased contribution from market activities". 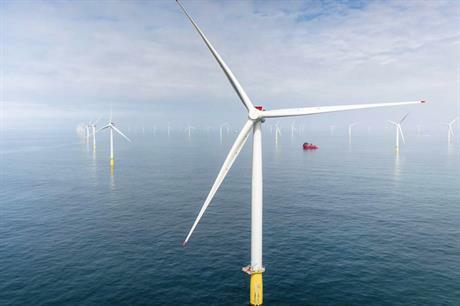 In the fourth quarter of 2017, Statkraft divested its 40% stake in the 317MW Sheringham Shoal offshore wind farm as well as its 50% shareholding in the 860MW Triton Knoll project. These transactions bought in NOK 3.1 billion, Statkraft said. Both sites are situated off of England’s east coast. The company also agreed to sell its 30% share of the 402MW Dudgeon site, its last remaining offshore interest, for about NOK 6 billion (€623 million). Closing of the transaction is due to take place in the first quarter of 2018, Statkraft added. The Norwegian company had signalled its intention to exit the offshore wind industry in December 2015, claiming the sector was too "capital intensive". CEO Christian Rynning-Tønnesen said: "The sales of offshore wind assets combined with the new long-term dividend model significantly strengthens our financial capacity. "Together with the performance improvement programme, this gives a solid foundation for further growth in renewable energy." Announcing its fourth quarter results, Statkraft added it "is actively exploring new businesses within hydropower, wind power, solar power and other opportunities within renewable energy". These "new opportunities" are in Europe, South America and India, its board of directors wrote in the results. Statkraft sold 17.3TWh of energy in the fourth quarter of 2017, its results show. The vast majority (15.8TWh) of this came from hydropower, while wind (0.8TWh) was its second most productive power segment.